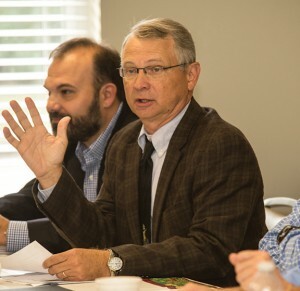 MONTGOMERY – On Dec. 16, state veterinarian from seven southeastern states, along with other animal health professionals, including the U.S. Department of Agriculture’s poultry field staff, met at the office of the Alabama Poultry & Egg Association to discuss movement of poultry or poultry products in a potential high path avian influenza crisis. 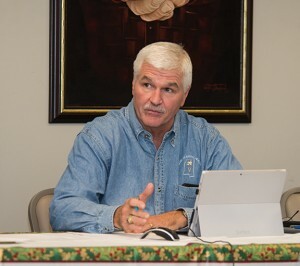 The meeting was organized by Alabama State Veterinarian Dr. Tony Frazier. The purpose of the meeting was to come to an agreement among states on what would be required for movement of poultry and poultry products, if high path avian influenza is detected in any of the southeast states, so as to maintain continuity of business. This involved discussion of how poultry/poultry products would be moved from within the control zone or outside the control zones of an affected state. USDA’s Dr. Martin Smeltzer opened the meeting with an overview of the federal perspective, including testing requirements for movement from the control area and overall movement control. A number of scenarios were brought before the group and each state discussed their idea of what would be required. 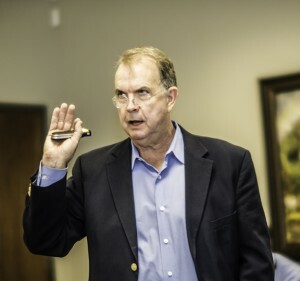 Dr. Jim Watson, Mississippi State Veterinarian, led the discussion on the different scenarios and compiled a spreadsheet of what each state would require. A general consensus was reached so that requirements would be uniform from state to state. Of course, some of these requirements could change on a case-by-case basis and these are still being worked through and discussed. This was an important meeting and was much needed to ensure that movement of poultry and poultry products can continue safely even if high path avian influenza is detected in any of the southeastern states. Dr. Frazier is to be highly commended for his leadership in organizing and leading this meeting. A follow up meeting will be planned in the near future.